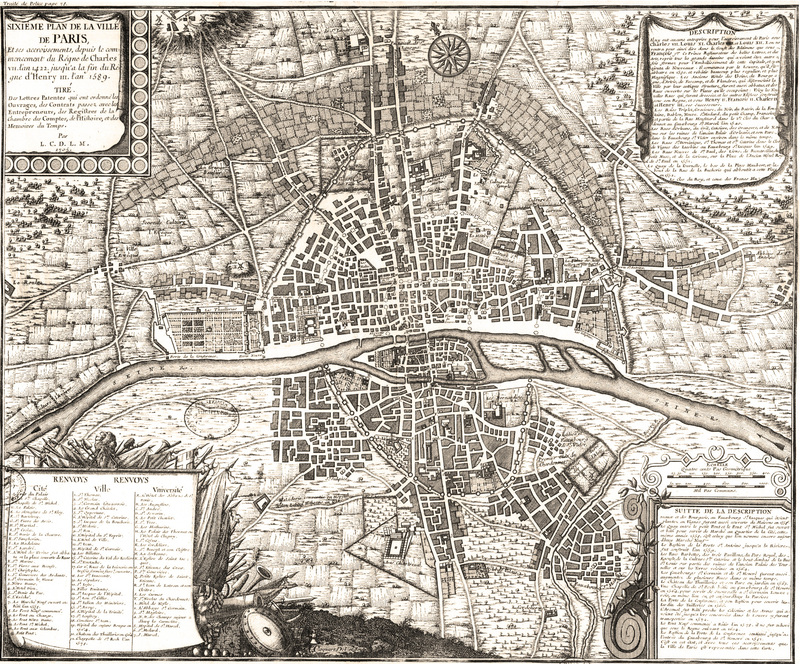 This map shows the growth of Paris from 1422 to 1589. Many epidemics of the bubonic plague and smallpox hit the city. France is under the rule of House of Valois with the death of Charles VI. After the death of King Charles VI, King Henry VI of England (House of Lancaster), becomes regent of France after the Treaty of Troyes. His rule last from 1422 to 1453. At the same time Charles VII also claims the throne with the death of his father. House Valois of France rules until 1589 when House Bourbon inherits the throne.